As part of finding and becoming my better self I found myself in the midst of London’s West End. The competitive environment of the well dressed, the wealthy and the good looking has actually become one of my favourite past times. Not only have I had the craziest of times but I have met some really great contacts and friends for life. Club promotion is no easy bag, but I learnt a lot and got a few pointers from being around other successful club promoters. I studied a personal friend of mine and really successful club promoter. First of all, this guy is no pick up artist. He hasn’t read a single book on game or psychology. What he has done, he has done naturally. He has found himself several different paths on which to meet women, which have dramatically helped him to be the guy that is CONSTANTLY SURROUNDED BY WOMEN. He started off climbing up the ranks salsa dancing until he became the man of value… a salsa instructor. In this sort of environment, you can imagine, the guy met a lot of women. Not only did he meet a lot of women but the women desired him. In his spare time as an instructor he found himself improving his body image down the gym. The gym was another passion of his. He grew himself into great shape and got to a stage where people were asking him for advice rather than the actual personal trainers on site. It was here he realised there was something else he could do – personal training. He met a lot of people whilst training and helping people’s self-development at the gym that he went on and continued to convey the high value status that he gained from being a successful and fantastic salsa dancer. Getting compliments from friends at the gym one day, a friend asked if he had thought about being a male stripper. It was a funny conversation but of course he jumped at the idea and pursued it. This was a guy that enjoyed the attention and company of women. At this point in his life he had created 3 paths on which to meet women. Salsa dancing, the gym and stripping. It just took one evening after a salsa class when he asked if his class would like to join him at one of the clubs in Mayfair for a drink. Of course the female-dominant class all jumped at the chance. Let me tell you something. If you turn up to a club in the West End with 40-50 ladies around you then people are going to start to notice. And that is exactly what happened. He was quickly recognized after a few nights by event organizers and they proposed he start promoting. For him it was easy. He naturally crafted a highly desirable image. He was in great shape, had interesting hobbies outside of the clubbing environment and women just wanted to be around him. Now the guy earns a living by getting paid by the biggest clubs in Mayfair to bring his entourage of women with him every night of the week. In the daytime he enjoys training at the gym, making sure his body’s in perfect shape. Come the evening he’s ready to party in style. Not a bad life, eh? The thing is, the guy really doesn’t know how he did it all. 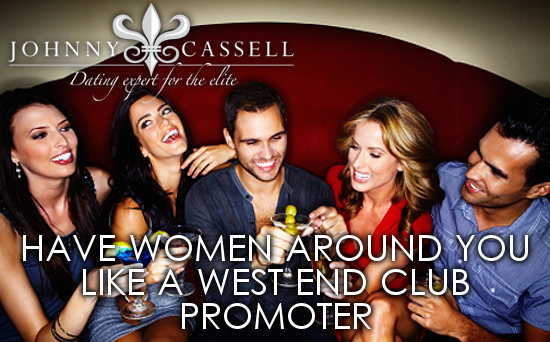 I’ve had conversations with kids new to the West End scene, eager to become a respected prolific club promoter. The guy just turns to them and says “I don’t know you, you just got to bring more girls.” And that’s why he is a natural. What he has done throughout his life naturally, can be replicated and taken on board YOUR LIFE. I hope I have broken it down well enough for you to get something from. This is not just a message to all club promoters on how to improve your numbers. There are basic steps here for EVERYONE so you can create a more ATTRACTIVE and more SOCIAL LIFESTYLE. 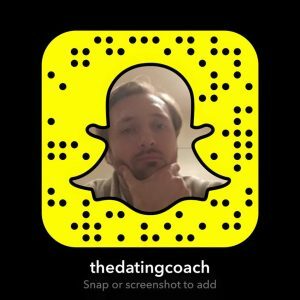 Where you can work with Central London’s premier dating coach Johnny and take your game to the next level.